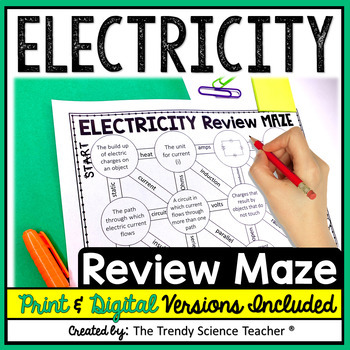 Provide your students with reinforcement over electricity with this ELECTRICITY REVIEW MAZE! 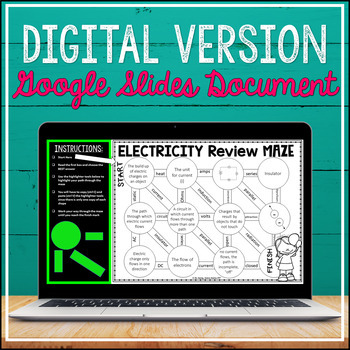 Use as a homework assignment, end of lesson assessment, or as part of a station activity. I have included the answer key for easy grading. I have also made this resource EDITABLE so that you can customize to fit your classroom needs!